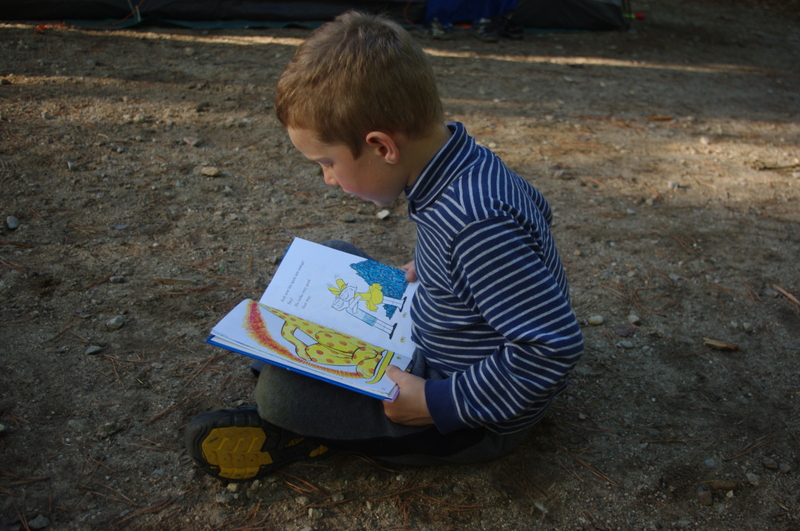 First – I got a notification from the Y today for the new preschool price list. I stared at it for quite some time. Then I threw it in the trash. I will never pay for preschool again. I am paying my last right now. It is all summer camp and afterschool from here until it’s time for college tuition. 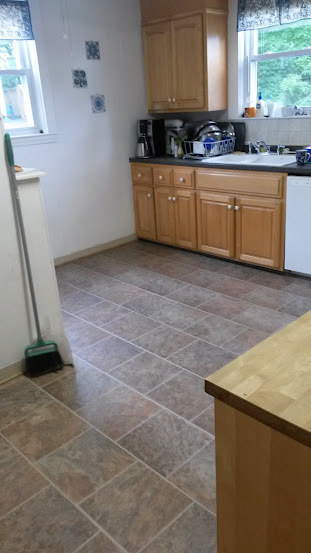 Second – we put a new floor into our kitchen! Very exciting. The former floor was considerably older than me. It was white. It showed everything. Being so old, it also could not actually ever be clean. We put in Pergo floors. I have some more structural fixes to the house (after Adventures in Roofing last year it will be Fixing Rotting Windows II this year) so I didn’t have a huge budget. 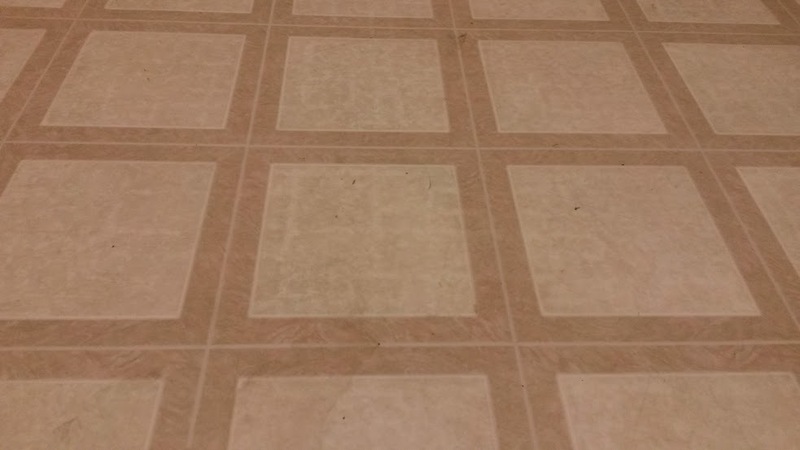 When I first saw the floor I was admittedly skeptical, but it’s growing on me. Which – once installed – you really had better like it no matter what. Definitely different. It took some adjusting.